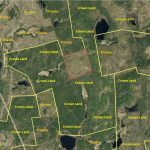 33 Acres of land in the UNORGANIZED TOWNSHIP of Boston. Boston Township is an UNORGANIZED TOWNSHIP. What this means for you is that there is no official plan for this township. That means there is no zoning or zoning by-laws to control uses. So, you can build whatever you want, any size you want, as many buildings as you want , anywhere on your property that you want, for whatever use that you want and you DON’T NEED PERMISSION and you DON’T NEED A BUILDING PERMIT. 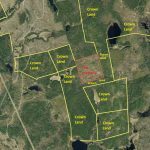 The Township of Boston is located about 14.5 kilometers or 9 miles southeast of the Town of Kirkland Lake in Northeastern Ontario. 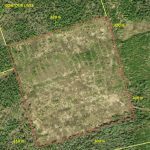 The property is just 2.1 kilometers north of the hamlet of Boston Creek. The Town of Englehart is to the south 13 miles [20.9 km]. 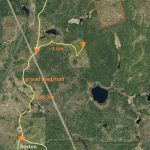 The Town of Kirkland Lake is to the north 9 miles [14.5 km]. TREE RIGHTS COME WITH THE PROPERTY except for the “Pine Trees” which are reserved to the Crown. The patent shows that the property was surveyed by an Ontario Land Surveyor named G.P.Angus on May 29, 1916. The patent paperwork also states that all ores mined have to be treated and refined within Canada. These documents make for some pretty interesting reading. CROWN LAND adjoins the property to the south, to the east and to the west. 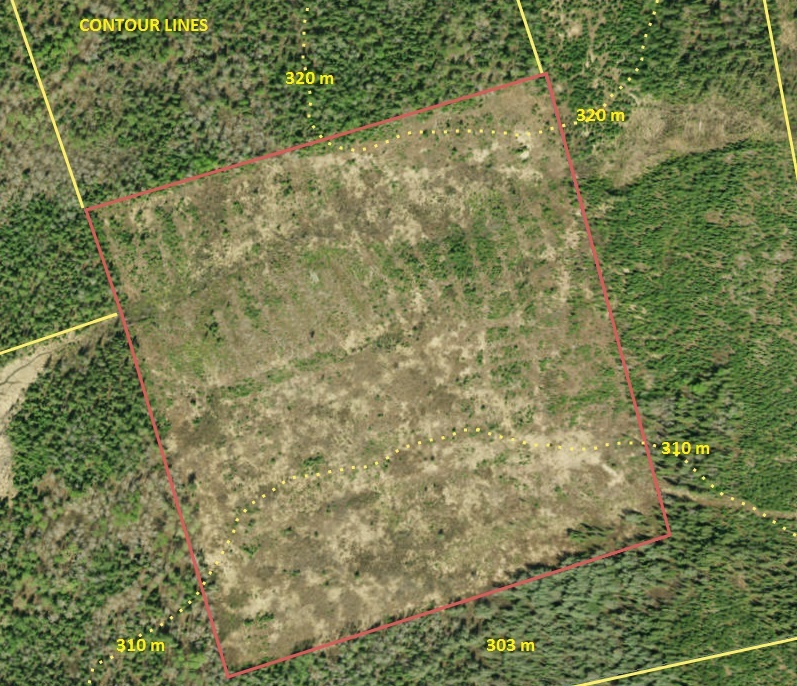 About 1,000 acres of Crown lands can be easily accessed from this property. That is a very large playground to go hunting and exploring on! The mature timber was harvested probably about 6-8 years ago. 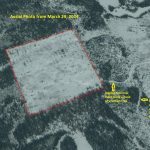 In this area the timber is going to consist mostly of Spruce trees, Poplar trees and Birch trees with some Balsam trees mixed in throughout. 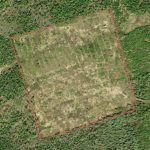 We have a 2014 aerial photograph taken at the end of March 2014 that shows the mature timber was harvested so we think the harvest took place at least 2 years or more prior to that. The timber harvest most likely too place in the winter and wood was taken out over a winter road. On the aerial photos you can see the remains of the winter road. It has started to grow in and today may be passable by ATV or ARGO only. Of course, in winter you could easily get there by snowmobile. It is mostly high land and is dry. The contour maps show no swamp or wet areas on the property. 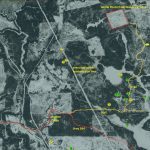 The south end of the property is at about 303 meters above sea level for the first 130 meters or so (about 10 acres) and then it rises to 310 meters above sea level and levels out for about 250 meters (about 21 acres) and then the northeast corner of the property rises to 320 meters above sea level (about 2 acres). What you have are two big plateau’s one about 10 acres in size and the other about 21 acres in size. This is nice dry land offering good views of the countryside. 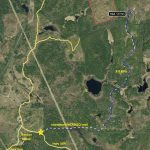 Wildlife Management Unit (WMU) 28 is located in the Kirkland Lake District of the Ministry of Natural Resources (MNR). The unit is bounded by the Quebec border to the east, the Montreal River to the south, the Black River, Watabeag River, Englehart River and Montreal River to the west, and Lake Abitibi and the Abitibi River to the north. 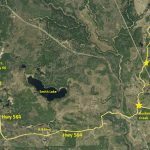 The unit covers an area of more than 10,000 square kilometres. There are two moose hunting seasons in WMU 28. The bows-only season begins on the Saturday closest to September 17 and continues to the beginning of the resident rifle season on the Saturday closest to October 8. The gun season is open until November 15 each year. Non-resident gun season starts two days after the resident gun season start date. DID YOU KNOW that if a non-resident land owner wants to hunt black bear in WMU 28 and he/she owns land in this WMU, then that non-resident landowner does NOT have to go through an outfitter or have to stay with the outfitter. Just bring in proof of land ownership to the MNR and buy a non-resident black bear tag and GO HUNTING in WMU 28. There is some very fine fishing to do in this area and there are some pretty big lakes to fish on too! Nearby lakes like Round Lake, Smith Lake countless small lakes and many dozens of creeks. Fish the creeks for brook trout and fish the larger lakes for everything else. There is nothing like taking your kids or grandkids creek fishing and seeing the excitement of them catching fish. Boston Creek is an unincorporated community in the Canadian province of Ontario, located within the Unorganized West Part division of Timiskaming District. The newly constructed Temiskaming and Northern Ontario Railway in 1906 had it own railside towns. But the town also had something else going for it. Gold! During the 1930s, it was predicted the discovery of gold at Boston Creek might rival the established field known as Kirkland Lake. The town had a school, stores, a boarding house, and what appeared to be a bright future. Few of the mines survived the World War II era and Boston Creek was one of them. The town began to fade and today is a partially ghosted settlement.